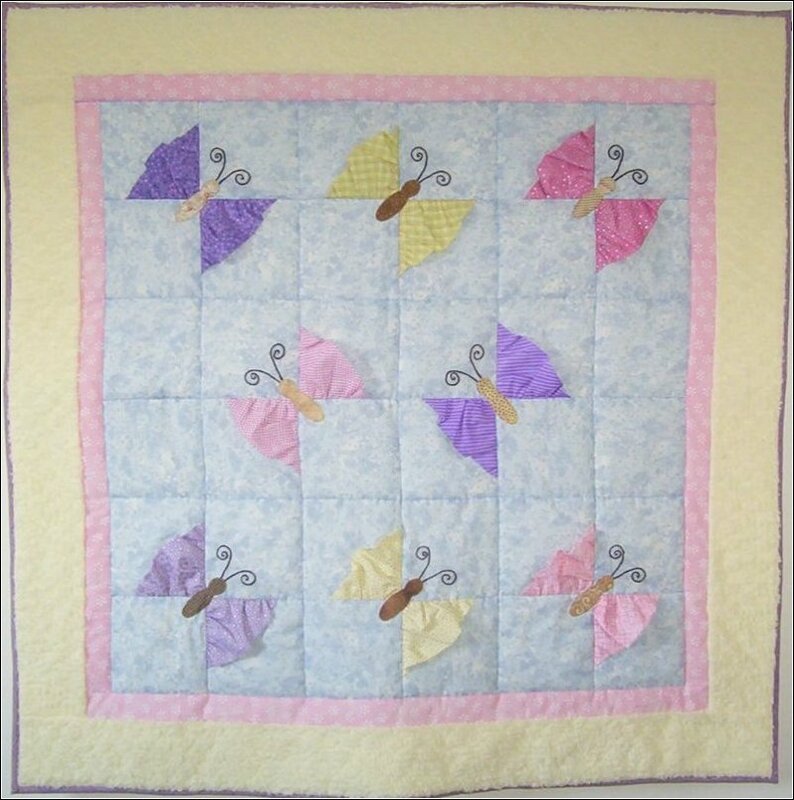 This sweet quilt is covered with butterflies that seem to be flying on the quilt. The soft chenille border makes this the perfect blanket to wrap your little girl in. She'll soon be dreaming of dancing butterflies! Size: Approximately 44" x 44". Applique: Yes. The butterfly bodies are appliqued. Embroidery: Yes. The butterfly antennas are embroidered. Embellishments: Yes. The butterfly wings are three dimensional.